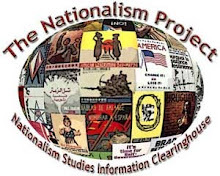 The Nationalism Project Blog: What Does It Mean to be a Patriot? CNN commentator Roland S. Martin just published an editorial in which he rips members of the current opposition party in America, the Republicans, for laughing giddily over the failure of the United States to win its 2016 Olympic bid. The gist of Martin’s argument is that the loss of the Games was not a defeat for Obama (who campaigned vigorously) or for the city of Chicago (a city that Republicans seem to hate), but rather for the United States. What the critics don't see is that Obama's loss on the Olympics is America's loss. Any red-blooded American who loves to see the American flag raised and the national anthem played when one of our own wins a gold medal should blast the Republicans' giddiness over the loss. So, to all the critics happy about us losing the 2016 Games, turn in your flag lapel pins and stop boasting of being so patriotic. When an American city loses, like New York did in the last go-round, we all lose. And all you critics are on the same level as the America haters all across the world. You should be shouted down for not backing your own country. The next time any of you bang out a press release about "Buy American" or "Support our troops," remember this moment when your cynical, callous and small-minded brains happily rejoiced when America lost the 2016 Olympic Games. The partisan tone of this exchange is part of daily life in the States these days. Liberals celebrated when former-President George W. Bush suffered defeats. Conservatives now openly embrace any perceived failure on the part of the Obama administration. Both sides claim that their respective opinions are "patriotic." My question is simply this: what is patriotism and how do we identify it? Can both sides, so diametrically opposed to one another, really be patriotic? If so, what are the implications? It strikes me that each side is using "patriotism" for political ends. Is patriotism really just a political symbol, to be utilized as is one's want? If so, should we bother studying it in terms of national identity or should we relegate it to the arena of political rhetoric? Is anybody familiar with useful studies of patriotism and politics? I'd like to see more concerted study of so-called "patriotic" organizations and their political use of the "American" label.